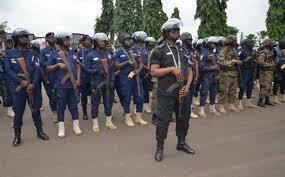 The Assembly member for Kwapong New Town Electoral area in the Asunafo South District of the Brong Ahafo Region is pleading with the Inspector General of Police (IGP) to take into concentration to reopen the Kwapong Police Station. Speaking with our reporter Amansakamafour, Hon. Justice Kwaku Boampong popularly known as Palabola stated that criminals and drug dealers have taken over the district. The Kwapong Police Station was forced to closed down in 2015 due to attack, vandalism and brutality on the Police personnel by some Irate youth in the town.
" Crime, Stealing and Drug paddling is out of hands and the only way to curb the situation is to bring back the personnel" he pleaded.